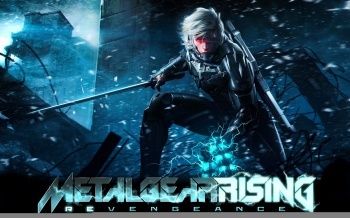 Metal Gear Rising: Revengeance comes with a new "AllowCrossRegionTradingAndGifting" tag. Valve and Steam can try to hide (or at least, not specifically mention) things to us, but the gurus at Steam DB see all (specifically, all of the Steam database). This time, they've dug up a curious new tag attached to Konami's just-released Metal Gear Rising: Revengeance: "AllowCrossRegionTradingAndGifting". In Revengeance's case, the flag is set to "no", which means that players cannot gift or trade copies of the game to players in different regions. For those not in the know, Steam (until now) has allowed players in different regions to trade or gift copies of games to anyone around the world. While this can be used as a sort of "loophole" to get around expensive region pricing, it has also been used in the past to get around regionally censored games, such as Left 4 Dead 2 in Australia. But it now looks like that is all coming to an end, as I can certainly see this tag being very popular with publishers, who wish to more strictly control regional pricing. It's unknown how this will effect the sale of retail CD keys purchased from regions other than your home region. Early reports are indicating that this flag is so far only applying to the Eastern Europe and South American regions of the game, where the prices are traditionally lower than the rest of the world. We've contacted Valve for an official statement on the matter, and will keep you posted.